Congressman John Curtis went toe-to-toe with challenger Chris Herrod during Tuesday’s Republican primary debate for the 3rd Congressional District — rehashing many of their disagreements from last year's special election. Among the topics they sparred over: tariffs, gun control, immigration and special counsel Robert Mueller’s investigation into Russian meddling in the 2016 presidential election. Herrod also reiterated his support for President Trump's agenda on more than one occassion. Curtis struck a more moderate tone on most issues while Herrod, a former state lawmaker, painted himself as a staunch conservative, questioning Curtis's bonafides as he had last year. But Curtis wasn’t having it. Curtis easily defeated Herrod last year in the special primary election to replace former Congressman Jason Chaffetz, who resigned abruptly to take a job at Fox News. Herrod forced a rematch after Curtis failed to reach the required 60 percent threshold to avoid a runoff at the GOP’s nominating convention in April. Utah’s 3rd District is one of the most conservative in the country. The winner of the June 26 primary will square off against Democrat James Singer and two other third party candidates. 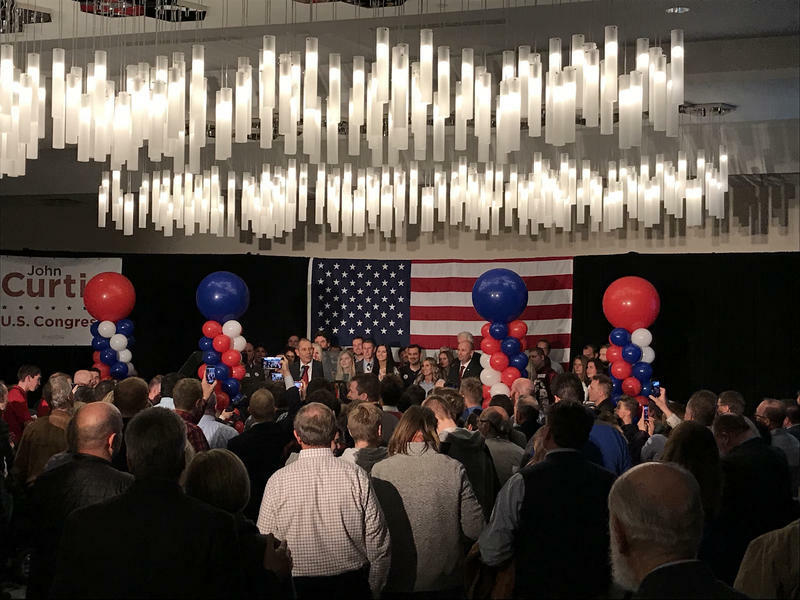 Provo Mayor John Curtis landed a decisive victory Tuesday night in the special House race to fill former Congressman Jason Chaffetz’s seat.